There are numerous benefits for callers from using Allwebcall services. You can make a call with a simple mouse click or, in the case of no reply, you have the option to leave a voice message to be contacted and all communications are FREE of charge from anywhere, at any time, to anyone and to any device: Landline, Mobile, Laptop, Tablet, and Desktop Softphone for windows, Mac, Linux, Android and IPhone. Extended Contact and Collaboration in Real-time Provisioning, Reporting, and Analysis. You may use this service in a variety of ways to call sales or support helpdesk, book air flights, fix a meeting, and reserve a table, hire a vehicle, book a vacation or leisure tickets. It also help you communicate with your bank, legal or financial advisors, medical care, governmental institutions, personal assistants, education services, communal services; in essence, with anyone who has embedded the Allwebcall button on his/her Website. Using Webcall Click to Talk button, you will get connected FREE of charge from anywhere, anytime to anyone and to any device. Trying to reach your local bank calling their call center and waiting to communicate with your dedicated branch in your place or particular bank service you require could be very long, even unsuccessful. If the bank has installed the buttons for every branch, you will contact the chosen branch instantly by clicking the dedicated button. It’s so remarkably easy to use Webcall Click to call services. 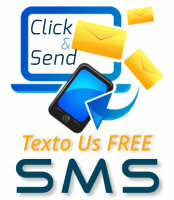 Just a button script code that can be embedded icon in any of websites pages that website visitors are browsing and then they can talk to a live person engaging a Webphone conversation. Click on the ‘Allow’ icon on the webphone window displayed by Google chrome browser. This function will allow you to connect your headset microphone or within your computer`s integrated micro / speakers allowing you to connect with your desired destination. The connection will be made and you will be able to talk to your destination contact. In the case of no reply from anyone, a help desk from the company you are trying to call, you have the option of leaving a voice message which will automaticly be sent by email. 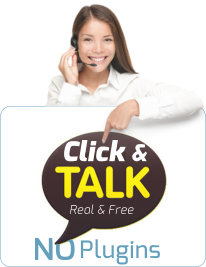 No Plugin, No Download, No installation, No entering phone number, No calling back, No 0800 to dial, No VoIP provider connection, Webcall is an instant click to talk within seconds.